This is a fabulous lot in Grandmother Mountain with exquisite mountain views. On 5.31 acres of gently sloping land, replete with native foliage including hardwoods, rhododendron, Galax and ferns, this property is bordered by an incredible rock formation. All homesites are expansive and all homes have been carefully placed to ensure unobstructed views and the ultimate privacy. 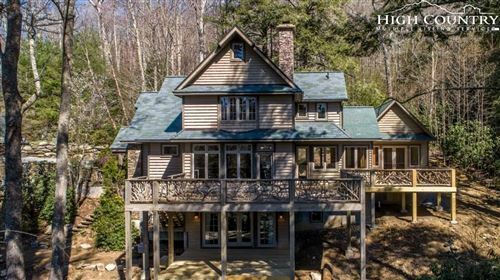 Surrounded by the Blue Ridge Parkway and conservation lands, this gated community provides a serene and secluded atmosphere in a convenient location. It is only minutes from Linville, Banner Elk and an easy, scenic drive to Blowing Rock. Common nature areas and recreation area are available for owner's use. Enjoy a truly unique and very special opportunity to revel in the ultimate in mountain living.